MySale.My is one of many online group/bulk buy websites which you can find over the Internet, and concept is similar to Gilt (USA) where you have to make pre-order for the items that they are currently selling. Most of items sold are apparels, accessories, and some household items which they channel from big global brands at discounted or clearance price. I stumbled upon a few details on MySale.My while trying to learn more about undelivered orders by MySale.My (and how they tackle this problem), yet most of them have bad experience (and with unresolved matter) while doing online shopping with MySale.My lately. MySale.My is owned by an Australian company namely Ozsale Pty Limited, which also runs an online shopping site that has garnered lots of negative reviews over the Internet, i.e. Ozsales.au. You can read all the reviews on Ozsales.au here. I had always been a loyal MySale.My customers prior this, and had never experienced problems such as undelivered orders, and gotten some fake or low quality items. 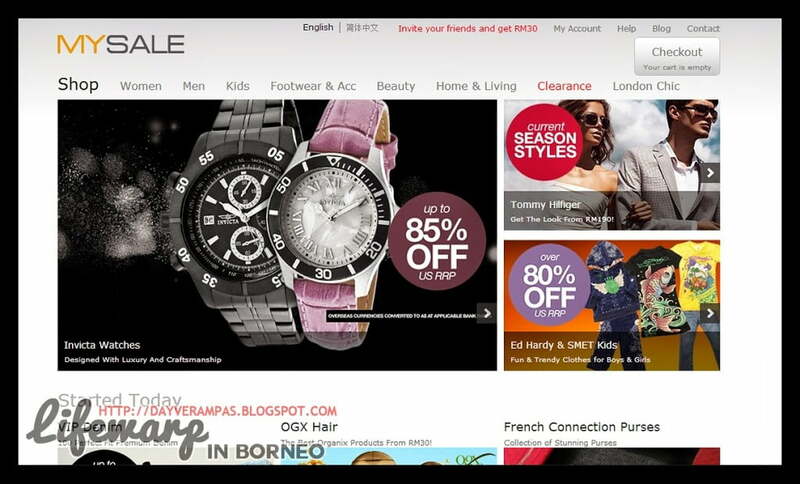 Yet, this experience really which I encountered lately has changed my mind to shop online via MySale.My. I always do online shopping, and I am fully aware that there’s unavoidable risk of losing your orders during delivery process. However, I look forward on how the management tackles this kind of problem. I made two (2) different pre-orders on NYX Cosmetics somewhere in May 2014, and was expecting both orders to reach me latest by the end of June 2014 as I need to restock my make-up box for any upcoming make-up jobs (Oh yes, I’m a freelance make-up artist). 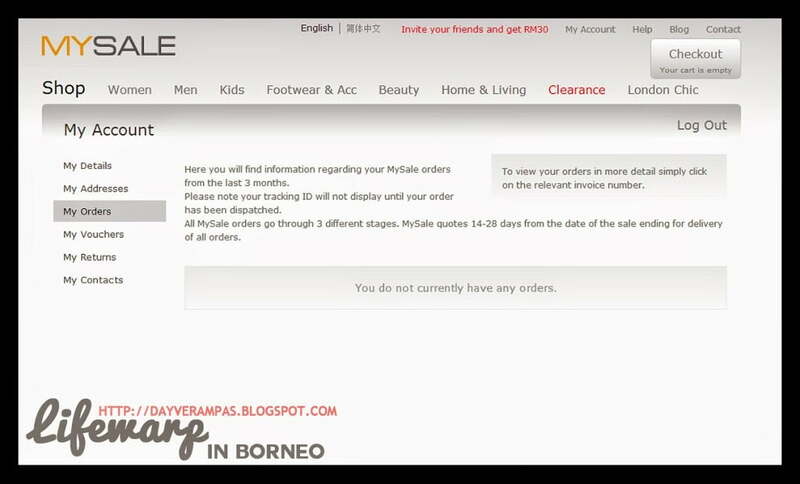 In fact, MySale.My does provide estimation on delivery date for every orders made by their customers. I admit that they have implemented a nice and friendly ordering system whereby customers can always place order either via their smartphone, tab, and computer, and track down the status of their orders. However, I’m pretty disappointed with the lacks with their operating system to ensure the orders reach their customers – SAFELY. 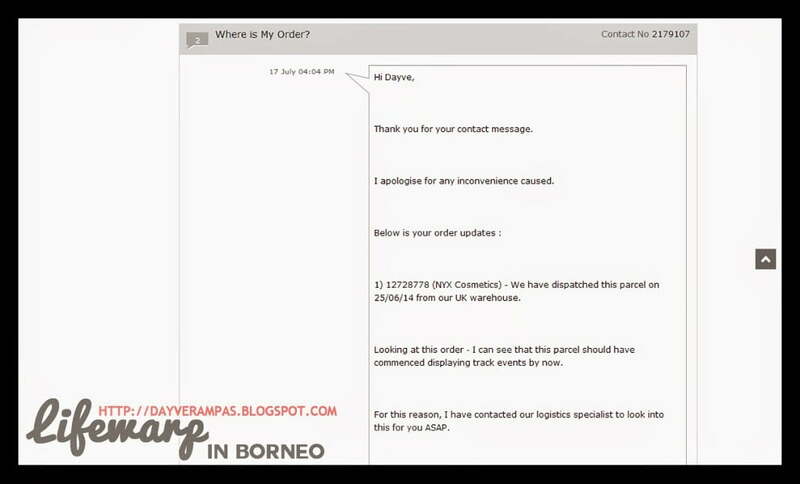 It’s normal for the customers to keep on asking for their order which is still undelivered even after the estimated delivery date has lapsed. I can understand the time spent by MySale.My personnel in dealing with this problem especially when the other party has not provide you with latest updates or responses. I mailed MySale.My TWICE, and only to receive one (1) package while the other one has been considered as cold case – not even a single news of the whereabouts, insisting me to assume that the other one was never delivered as the personnel does not even reveal the tracking number to me. 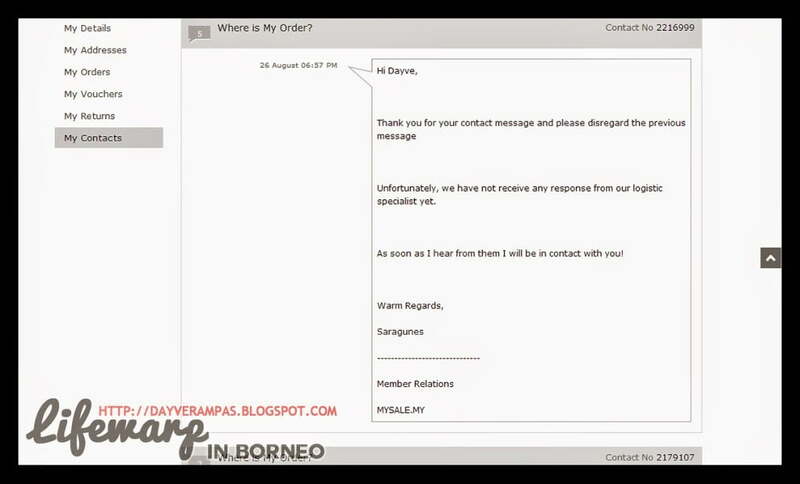 So, my last message to MySale.My was on 26 August 2014. Alas, the reply is very disappointing! And, all my orders including the undelivered order are all thrown into the dustbin, treating it as part of completed orders. Disappointed as I feel right now, and all I have to do is to vent out my irk on this blog to share my shopping nightmare in Elm Street with MySale.My. I’m so sorry, MySale.My. 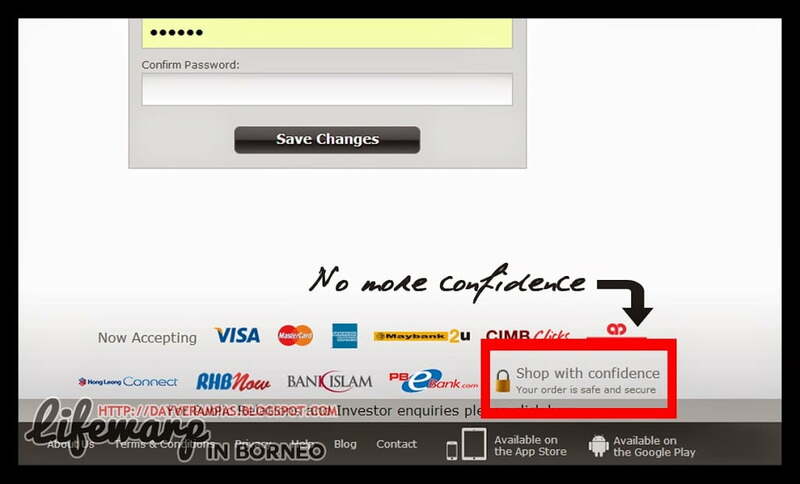 I can no longer shop with confidence with you. Moreover, your shipping charge has gone up, and doesn’t even suit with the delivery service. My hubby also got a pair of shoes which you claimed as ‘Leather’ and (what’s more?) you claimed it is imported from UK. Alas, we found out the shoes come from a factory in China. Pardon me for being outlandish but I speak, read, and write Chinese. I have no problem to get information about the material from your supplier. Judging from the smell & look of the material, we found out that the shoes is wholly made from rubber or polycarbonate. Looking forward on how you tackle this problem, anyway. Good luck, MySale.My. Till then, I rest my case here. http://www.mysale.my/, Is it a legit online shopping website?